Let Inserch and their collection of classy style menswear keep you looking your night time best. Inserch has been a leader in fashion menswear for the grown man for over 30 years and keep on the latest looks that the grown man wants to be seen wearing. 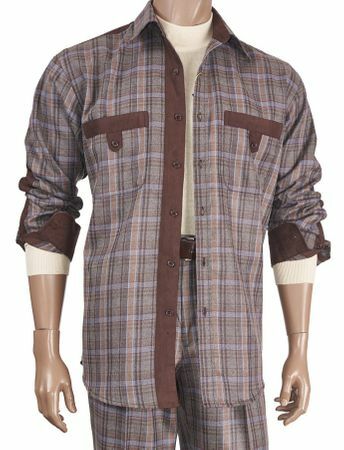 Made of brown plaid fabric with suede trim. Pleated Pants.